The collapse of private equity titan Abraaj has focused renewed scrutiny on corporate governance standards in the Middle East and North Africa (Mena) region. The episode also highlighted the importance of a strong governance culture in attracting — and retaining — international investors. At the beginning of last year a number of prominent investors, among them the World Bank and the Bill and Melinda Gates Foundation, hired a team of forensic accountants to investigate a $1 billion (Dh3.67 billion) health fund run by Abraaj. When control of Abraaj was handed over to a court appointed liquidator in June, it was revealed that the firm’s revenues hadn’t covered basic operating costs for several years. To make up the shortfal,l Abraaj borrowed heavily — including from its own funds — and outstanding debts to creditors reached over $1 billion. In its report, Abraaj’s liquidator, PwC, noted the lack of complete financial records. In an arrangement that should have had conflict of interest alarm bells ringing loudly, the managing partner in charge of risk management at Abraaj was married to the founder’s sister. Abraaj’s collapse has also brought scrutiny on the firm’s auditor, which is conducting an independent review over its own potential conflict of interest. Abraaj appointed KPMG to review investors’ mismanagement concerns when they first arose and the auditor exonerated the firm of any wrongdoing. However, it has since transpired that Abraaj’s chief financial officer at the time of the investigation had previously worked for the auditor. In a report, S&P Global warned that “corporate governance continues to be a critical weakness” for Gulf companies and that strengthening management and governance practices could improve access to capital markets and cut the cost of raising debt. Now, in a region where the private sector is dominated by a patrician cadre, long-standing concerns over standards of corporate governance have re-emerged. And the international capital markets are watching — and waiting — to see the response. As part of this, firms in the Mena region would be well placed to look to, and learn from, best practices already adopted in developed markets where some of the most serious failures in corporate governance have taken place. Truly independent board directors, which ensure sufficient oversight and scrutiny of key enterprise risks, must rank first among these. 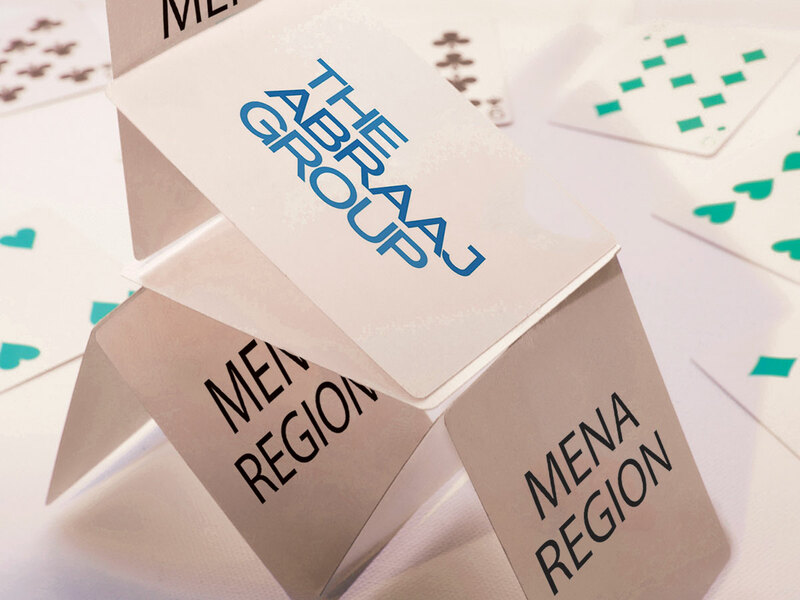 In the Mena region, board members are often related to management, have government ties or are staffed with members who sit on one another’s boards. It may be necessary to extend the scope of recruitment outside the region to find suitable candidates. A growing body of research suggests companies with gender diversity tend to perform better relative to their peers. A recent paper by the index provider MSCI supported a raft of previous research that strong female leadership generated a higher return on equity. Interestingly, the paper also found that higher female representation at board level corresponded with less corporate governance malfeasance. However, women are still under-represented in business and finance, with less than one-on-five CFA charterholders being female. The S&P report noted that closely controlled company ownership and a general lack of transparency leaves investors “open to the risk of weak management and, in extreme cases, fraud” and could deter international investors. However, in comparison to their global peers, businesses in the Mena region are averse to stock market listing, which would require extensive disclosure. In the absence of a public listing, responsible corporate governance norms for disclosure of non-listed companies would go a long way to restoring investor confidence in the wake of Abraaj. Banks and corporates have come under fire for lending based on reputation without conducting the necessary due diligence. Air Arabia, one of Abraaj’s main creditors, made a short-term unsecured $75 million (Dh275.47 million) loan to Abraaj personally guaranteed by the firm’s founder, who sat on the airline’s board. A “related party loan” of this kind violates basic corporate governance principles. Research by the Organisation for Economic Co-operation and Development Centre has shown that robust corporate governance is vitally important for sustained productivity growth in the developing world. It is essential for attracting capital as it enables international investors to determine the quality of corporate management and board oversight. Without it, rent-seeking behaviour can take hold resulting in the diversion of resources from economically productive activities into economically unproductive channels. As the Mena region pivots away from its reliance on petrochemicals to a more diversified and open economy, its success in transforming its corporate governance culture from a relationship-based system to a rules-based one will be critically important for its long-term development. Ongoing professional education will have a vital role to play in helping to effect that change. As new mores become entrenched, it will feed through to improved corporate governance standards. Institutional investors also have a role to play, with many already pushing for a more aligned approach to cross border corporate governance and regulators are responding. The Saudi Vision 2030 programme, which has made its Financial Sector Development Programme one of the main drives, is one example of this. Where regulators have yet to catch up with expectations, investors are engaging directly with corporations to advocate for reforms. As the Abraaj example shows, investors are increasingly willing to stage interventions when they feel that their best interests are not being served. However, it may be that the best hope for corporate governance is a generational change. As the next tranche of finance professionals makes its way through the ranks, new attitudes and expectations will slowly erode the old ways of doing business. William Tohmé is regional head of the Middle East and North Africa at the CFA Institute.